Do you find yourself struggling to keep up with conversations? Have family members complained about how you keep the volume too loud on your TV or radio? These signs and others may be an indication that you need a hearing aid or other assistive listening devices in the GTA. Talk with the hearing specialists and hearing instrument practitioners at Hear for You in Etobicoke to assess your hearing and learn about the various hearing solutions available to you. No matter the extent of your hearing loss, our clinic will work with you to find the customized treatment that works best for your lifestyle. They are either amplifying or alerting devices that are used to improve a wanted signal to aid hearing in a specific situation such as: talking on the phone, watching television, hearing the doorbell or even hearing another person. They can either work with your hearing aid or be an alternative to help you hear better. YES! We offer competitive prices and third party subsidy may also cover the cost of required devices. The Clarity® D603™ loud cordless Caller ID telephone, featuring Clarity Power™ technology, improves conversation by making words not only louder, but also clearer and easier to understand. With up to 30 decibels of amplification, the D603™ is ideal for those with mild hearing loss or low vision. This device can provide up to 53dB Gain. 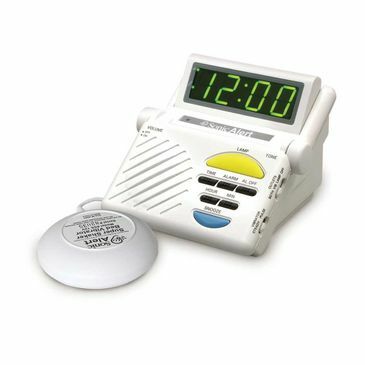 Caller ID with Large Text Screen three pre-set emergency key & three fast direct call key Earpiece cushion for comfortable conversation Supports headset jack and Neckloop jack Backlight Keypad and LCD Visual Ringer on both handset (with amplified ringer) and base Loud Ringer on handset, Base Tone control Duration: Talk time 6.5 hrs, Standby time six days & charge up time 12 hrs. Personal Versatile Listening System. 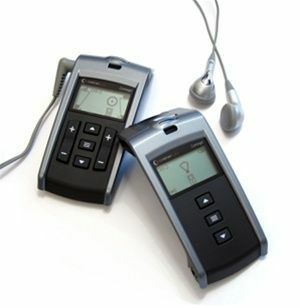 This versatile, high quality device is designed to improve communication in difficult situations. The Sennheiser Set 50 TV offers the quality of Sennheiser with an entry level price! The receiver of the Set 900 is equipped with two external microphones, which gently amplify conversations even in loud places, such as restaurants. It also improves awareness of listeners' surroundings, such as a ringing telephone or the door bell, while watching TV. Listeners can bring the receiver to any theater or concert hall equipped with infrared transmission, so they'll never miss a word of a movie, play or show. Foldable receiver and supplied carrying case for easy transport. 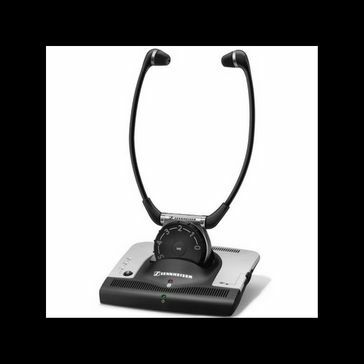 Wireless communication system with microphones in the transmitter and receiver which can be set to omni-directional or zoom. The zoom can be adjusted offering "sound focusing". The volume can be adjusted at both the transmitter and the receiver. The unit is extremely easy to use. Contact us to set up a consultation and stop missing out on those important life moments.